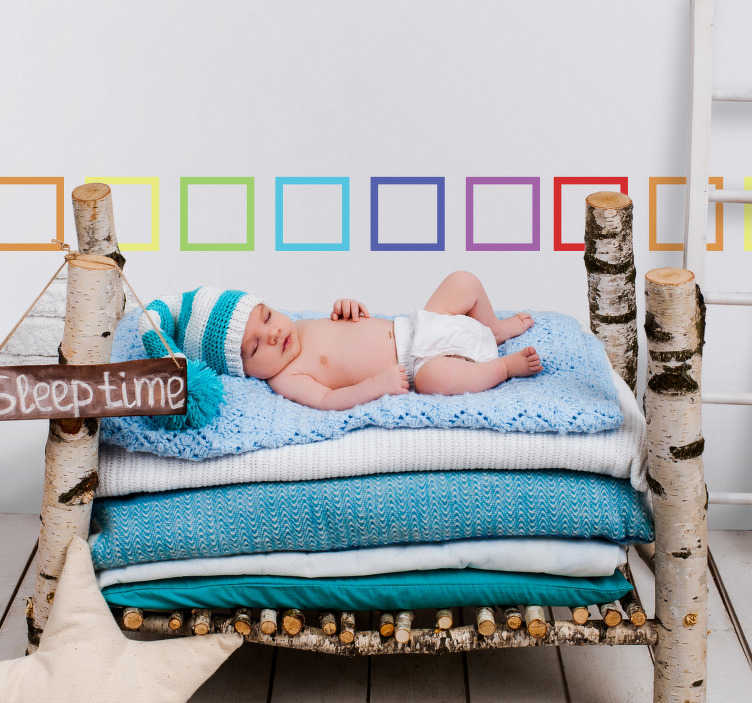 Customize your home with this border sticker, where each square is a different colour. Consisting of seven colours all together. A decorative sticker that will allow you to decorate your entire room. Give it some colour and create an original and joyful room. These stickers are easy to apply and can transform any plain walls into something brighter and more fun. Perfect for decorating children's bedrooms or nurseries.